On Friday, December 14, Daniel Rodriguez (0-0) of Jungle Gym in the Bronx, New York will be battling Justin Clarke (0-0) in a bantamweight matchup. 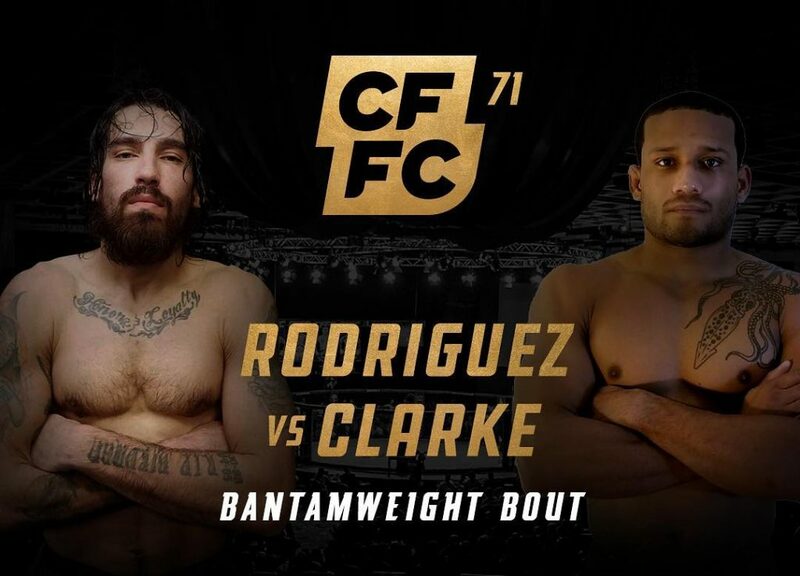 “Flaco”Rodriguez and Clarke will be making their professional debuts at Cage Fury Fighting Championship 71 at the Borgata Hotel Casino and Spa. Rodriguez joined Kyle Carroll on Carroll’s Corner MMA Podcast to speak about his impressive amateur career and his upcoming MMA pro debut fight in mid-December. “Flaco” went 8-1 as an amateur compared to his upcoming foe’s 4-1 amateur record. According to Tapology, Rodriguez was the sixth-ranked amateur in New York State but don’t be fooled. He was the top amateur bantamweight in the Empire State. Boosting an 8-1 record, six of his victories were finishes, one split decision, and one unanimous decision victory. Rodriguez is one of the largest bantamweights in the division. He’s a lethal striker that understands how to use his range and a grappler with slick transitions to submissions. Training out of Jungle Gym in the Bronx, New York, the former Aggressive Combat Championship (ACC) champion seeks to climb the rankings quick as he plans to stay busy in the upcoming calendar year. Jungle Gym produces the toughest fighters in the tri-state area. Example of their toughness – Rodriguez battled through a broken jaw in his second to the last bout as an amateur which occurred in the first round to snag an armbar submission victory with only one second remaining in the fight. Aside from the toughness that pours out of Jungle Gym under head coach Master Chim, highly skilled champions are developed and Rodriguez believes everything he needs to become a champion is already in place at Jungle Gym. Fight fans can expect a battle from Rodriguez as he is a highly touted bantamweight prospect with the capabilities of winning the bout no matter where the geography of the fight takes place. Tickets are on sale at www.CFFC.TV. Be sure to get your tickets now and make sure you watch the full interview with Daniel “Flaco” Rodriguez below as he prepares to make his professional MMA debut at CFFC 71.